Defend against the Allied advance while the German war machine crumbles. 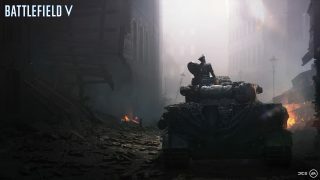 Along with innovative multiplayer experiences, Battlefield™ V will explore mankind’s greatest conflict across a collection of single-player War Stories that bring the human toll of World War 2 to the forefront. War Stories use the anthology format introduced in Battlefield™ 1, and each War Story will take players to unexpected fronts. Today we’ll explore The Last Tiger, where a lone Tiger I tank crew must defend against an Allied advance while the German war machine crumbles. 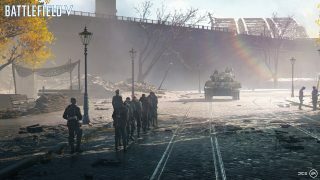 The Last Tiger War Story releases free to all players, as part of Tides of War Chapter 1: Overture. Nearing the end of WW2, the Allies are approaching the banks of the Rhine River with hopes to exhaust the German forces into surrender. On the edge of a destroyed city is German tank commander, Peter Müller. 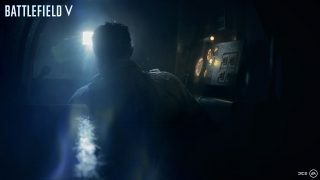 In the back of his mind victory is without hope, but he must command his crew in a last stand against U.S. forces. Their solace lies in the menacing Tiger I tank, a machine that could seemingly outlast the war. As Müller and his crew defend their home, German forces lie battered and disorganized. Then things get worse. In The Last Tiger, you’ll spend most of the time crewing the Tiger I Tank, the nearly indestructible colossus that could destroy most vehicles with a well-placed shot from its 88 mm tank gun. Still, you are outnumbered and can only push forward. Play like a tanker, keep the Tiger operational and your crew alive by staying mobile. The fight is in an urban setting. Infantry ambushes, unpredictable sight lines, and airstrikes are some of your biggest threats. Try moving between the rumble of the ruined city center to avoid being surrounded. Use the long range of the Tiger to shoot enemies from a safe distance and repair the tank between attacks. The Tiger is heavily armored at the front of its hull, so try facing foes directly when under fire. Counter by targeting the sides or rear of opposing tanks, their weakest parts. *CONDITIONS, LIMITATIONS AND EXCLUSIONS APPLY. SEE ea.com/ea-access/terms AND origin.com/store/origin-access/terms FOR DETAILS. One free trial per EA account.